Very interesting for Jon and Daenerys. 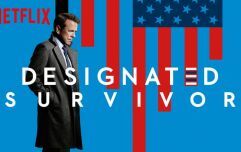 When it comes to Game of Thrones theories, we're quite particular about what's published on JOE because as we all know, the Internet is dark and full of terrors. 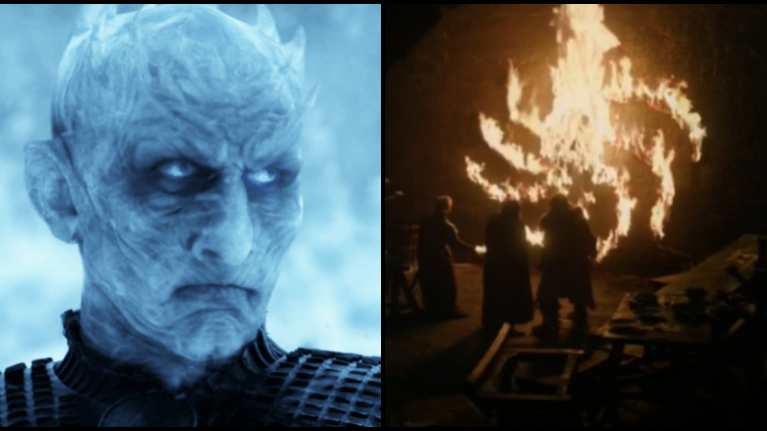 Given the fact that the Night King is such an enigmatic and terrifying mystery, the character is incredibly fertile for theories and we've already given an in-depth one about what he wants in Season 8. For the purposes of this article, we're only going to deal in stone cold facts about the leader of the army of the dead. The Night King was created by the Children of the Forrest to help them in their war against The First Men. As we've seen during that sequence when Bran has a vision with the former Three-Eyed Raven (Max von Sydow), Leaf places a dragonglass shard through this man's heart and it turns him into the Night King. 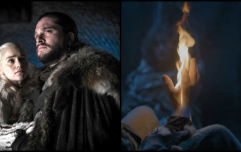 In terms of speculation, it's very possible that the Night King is a greenseer and after touching Bran's arm, it does appear that they've got some sort of psychic link. The Three-Eyed Raven's warging powers are diminished whenever the Night King is about - he lost control of those ravens that he sent beyond The Wall to spy on the Night King - and after grazing his arm, the defensive spells that protected the former Three-Eyed Raven in his cave were ineffective. Anyway, during the recent 'Inside the Episode' segment on Game of Thrones, David Benioff was discussing the scene where Jon Snow/Aegon Targaryen rides a dragon. Side note: Nice bit of symmetry that Jon is riding Rhaegal, a dragon that's named after his biological father, but back to the big issue about the Night King. During the interview (3 minute mark), Benioff says: "No one has ever ridden a dragon except for Dany. Only Targaryens can ride dragons and that should be a sign for Jon. Jon's not always the quickest with the uptake but he gets there". You can see the interview below but as we all saw in the Season 7 finale, the Night King destroyed the Wall while he was riding Viserion, Dany's dragon that he successfully killed and reanimated. What's even more fascinating about this is the timelines, allow us to elaborate. If the Night King is in fact a Targaryen, he has existed since the age of the First Men - 12,000 years before the Targaryen Conquest of Westeros. Essentially, what happened during that time was that the First Men invaded Westeros via the Arm of Dorne from Essos. The Wars of the First Men and the Children of the Forest lasted for generations. After their sacred trees and forests are being cut down, the children then create the White Walkers to protect them against the foreign invaders. The Walkers turned on their creators and invaded Westeros, killing everything they saw. If what the showrunners said is true and that "only Targaryens can ride dragons," you could assume that the Night King, Jon Snow, and Daenerys come from the same blood line. Three people, three dragons, a three-headed dragon is the Targaryen sigil. Game of Thrones may have just gotten a bit more interesting. There's also an interesting belief that the final scene in the recent episode - Ned Umber's body on fire surrounded by the mysterious symbol - is eerily similar to the Targaryen sigil. 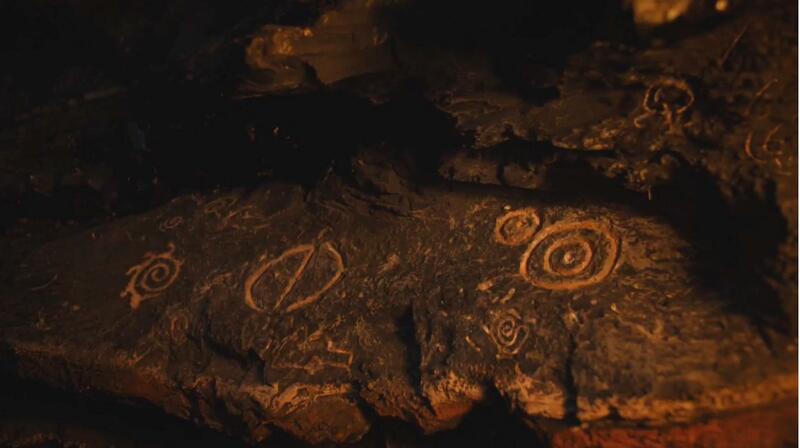 On that note, Jon and Daenerys did see the exact same symbols in the Dragonstone caves.